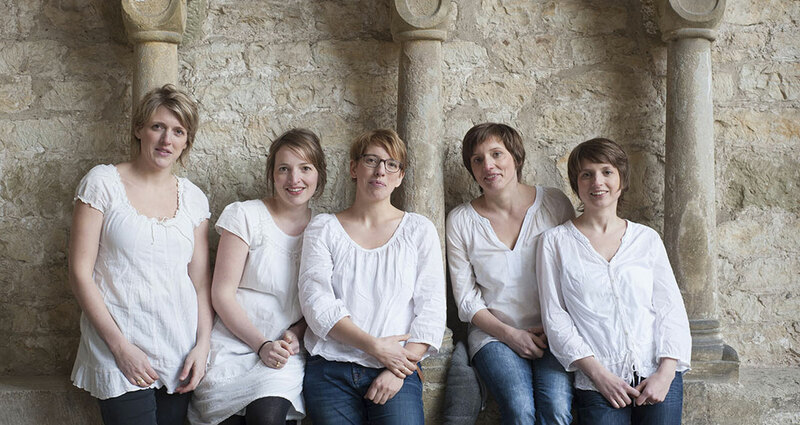 Schwesterhochfuenf („sister to the power of five“) is a vocal ensemble made up of five real siblings! In 2009, the sisters took part in the Bavarian Choir Competition and, in 2010, the German Choir Competition. They were successful in both, receiving first and third prizes respectively. Master classes and ensemble coaching sessions followed with John Potter (former member, Hilliard Ensemble), Stephan Doormann (Kammerchor Hannover) and the ensemble Singer Pur. In 2006, they released their first CD featuring spiritual works from the renaissance and by contemporary composers, followed by a recording of evening songs and poems about the night. With their third CD „German Advent Songs“, they dedicate themselves once again to their favorite genre, the simple song. In their concerts, they can be heard performing spiritual and secular music throughout the centuries.